looks like a second weather delay!! tiger looks like he's playing well so far!! Tiger Woods' latest injury shows that princesses aren't the only ones who get bothered by soft mattresses as the professional athlete complained that his neck and back ached because his hotel bed was not up to par. 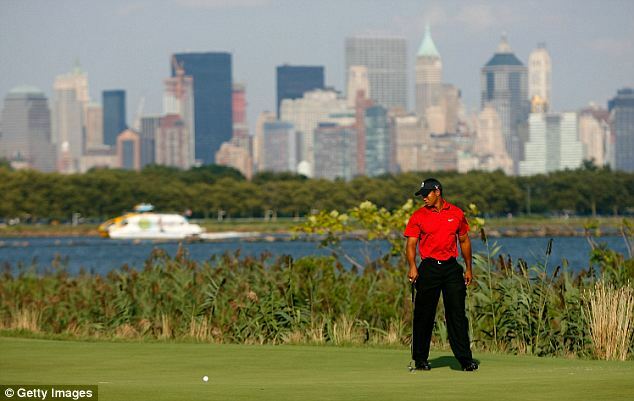 Woods is in Jersey City, New Jersey in preparation to play in a professional-amateur tournament hosted by the British bank Barclays which starts on Thursday, but on Wednesday he opted not to play the second half of the practice round because of his latest injury. He still walked with his amateur partners, but only chipped and putted at Liberty National golf course, where the tournament will be held. He says his neck and back were stiff in the morning. He attributes it to a soft bed in his hotel and says he didn't want to push it. 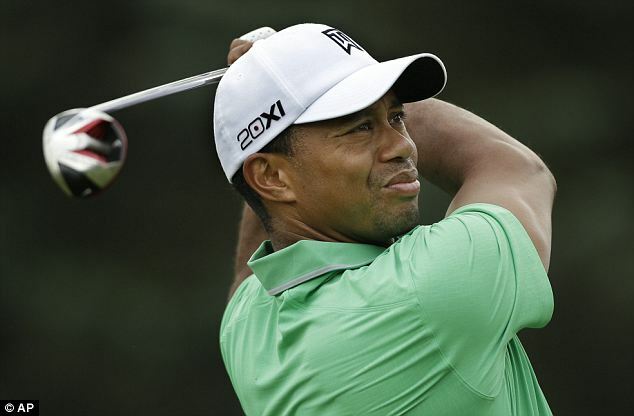 Woods was seen grabbing his back in the final round of the PGA Championship. He had an elbow injury that troubled him for two months this summer. Woods says he's not concerned. He says everything felt fine when he was home. It's the first of four FedEx Cup playoff events that feature some of the strongest fields of the year. The end of the major championships is not the end of the world for Tiger Woods. And there's still plenty up for grabs for Phil Mickelson, who has an outside shot at winning his first Player of the Year. Or even for Rory McIlroy, who feels as if he is coming off a six-month vacation and is trying to win for the first time this year. 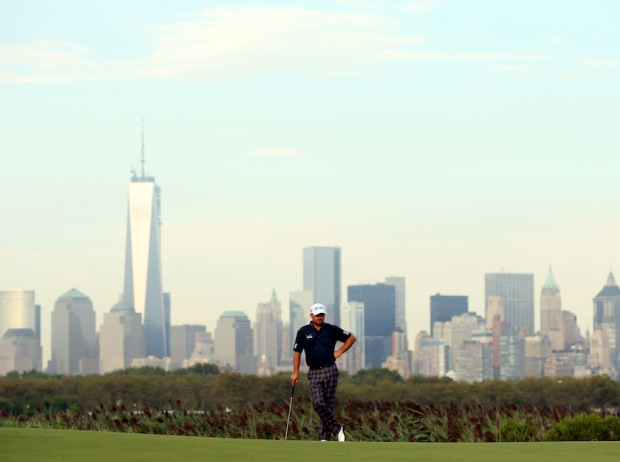 The Barclays starts Thursday across the Hudson River from Manhattan. While Tiger may taking it easy due to his bed injury, his ex-wife Elin Nordegren appeared to be in fine form today. The 33-year-old former model was seen leaving a gym near her new home in Florida. It’s been a long time coming after she purchased the home in early 2011 for $12 million, not long after she reached a whopping $100 million settlement in her divorce from Woods. Elin’s divorce from her sports star husband of almost six years was finalized on August 23, 2010 and she has been living in the house opposite her new home with her daughter Sam, five, and son Charlie, four, waiting for construction to be completed. when justin rose was on the 18th hole, he had a 5 foot par putt to stay at 11-under and force a playoff with scott, but he just missed and ended up making bogey. tiger birdied 16 and 17 to get within 1 shot of the lead.. he had a birdie put on the 18th hole to force a playoff with scott... his putt had about 8 feet of fringe to go through, but he hit it on a perfect line! it was just about 2 inches short, and he also finished at 10-under par. it was a very very exciting afternoon of golf!!! Wow! Thanks for the update. I will have to catch the replay then. What a great effort by tiger woods. It would have been a greater show if he birdied that putt to force a playoff n win the championship. Was hopg fr a playoff bt...gd fightg spirit TW. Adam Scott is playing great with Stevie on his bag. Do you guys know where to catch a replay ? on internet or any other ways ? I'm sure he had some pain but it didn't look like the back spasm caused his poor shot. I think he just collapsed because he played a shot like I would and the shock to him was horrifying. If he was in really bad pain, he would have had to be carried out on a stretcher or would have needed more recovery time before he walked towards his next shot. we were actually able to see the ball flight clearly on TV when he hit that shot, hit a crazy pull hook, ended up in the water and he actually dropped at the following hole's tee box! i think it was really that one shot that cost him the tournament though, i guess he was trying to win it right there on that hole, in hindsight, maybe a lay up would have been the better play (and less pain?) lol... it was an awesome tournament to watch though, hopefully the next couple of weeks will be just as good! 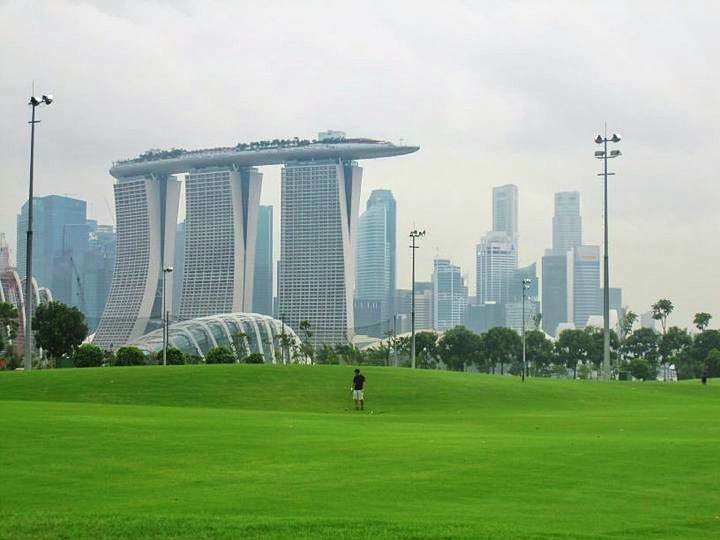 was looking through photos of liberty national and the barclays recently and can't help but be reminded of the Marina Bay Sands golf course in Singapore with the city views behind the golf course... took this photo the last time i was over there, almost 2 years ago now!! we don't usually need handicap cards to play anywhere in north america, so at the time, marina bay sands was the only course that let people without handicap cards onto the course and play.... or so i was told, not sure if that's changed at all??? For MBGC, u need a handicap to play. If not, u need to pay a S$10 fee so that the resident PRO there can assess if u are acceptable to play. This Certificate to Play valid for one month only.